The ASP.NET MVC framework provides an alternative to the ASP.NET Web Forms pattern for creating Web applications and separates an application into three main components: the model, the view, and the controller. So far, we have published 147 ASP.NET MVC tutorials and articles, which have been read by over 15604560 (Fifteen Million Six Hundred Four Thousand Five Hundred Sixty) developers and architects. Abstract: View Components in ASP.NET MVC 6 are reusable components and are intended to replace Partial Views and Child Actions in previous versions of ASP.NET MVC. Abstract: ASP.NET 5 is a significant redesign of ASP.NET. This article shows you how to build a web application in ASP.NET MVC 6 & Entity Framework 7 using ASP.NET 5 RC1. Abstract: The Repository pattern decouples your ASP.NET MVC application and shields it from changes by creating a boundary between your data access code and the other parts of your application. Abstract: In this article we will continue to incorporate AngularJS into an ASP.NET MVC Project. Abstract: Incorporate AngularJS Framework into your ASP.NET MVC projects and seamlessly use both the MVC routing system along-side the AngularJS routing system. This is part 2 of a series of articles on ASP.NET MVC to make you more productive on the MVC Framework. Abstract: Using NUnit to test action methods inside an ASP.NET MVC Controller. Abstract: NUnit and Moq are the suitable frameworks for testing the MVC Model layer separately. This article shows how do use these testing frameworks. Abstract: The IdentityRole class in ASP.NET Identity provides some useful features for creating and managing Roles in an application. This article demonstrates a simple project using ASP.NET Identity. Abstract: This article shows how to mix server-side technologies like ASP.NET MVC & WEB API with client-side technologies like HTML, jQuery and Knockout.js to easily create complex UI's like the DataGrid. Abstract: Explore the use of Windows Azure Mobile Services in an ASP.NET MVC application. Abstract: Visual Studio 2015 with Unified ASP.NET 5 provides some handy features for developing business applications. This article demoes an end-to-end app built using Visual Studio 2015 Preview. Abstract: This article demonstrates how to use Angular Validation Directives to fulfil validation requirements for a web application. Abstract: Part 1 of a series of articles on ASP.NET MVC to make you more productive on the MVC Framework. 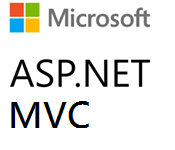 This article demonstrates how generating site code in ASP.NET MVC is just that simple. Abstract: Grunt.js helps to automate client-side tasks like minifying the script files, merging them, performing unit testing etc. In this article, we will demonstrate how to use it in an ASP.NET MVC application. Abstract: In ASP.NET MVC business applications, you may need to maintain the state of the data across requests. This article demonstrates how to use TempData and Session to achieve this requirement. Abstract: ASP.NET MVC provides various ways of handling exceptions. This article helps you decide which exceptions handling mechanism to choose for your requirements. Abstract: In this article, we will create a simple application using ASP.NET MVC 6 and Entity Framework 7. We will implement this application from scratch using an empty ASP.NET 5 Template. Abstract: HTML 5 can be used in ASP.NET MVC 5 applications to create some rich user experiences. This article shows how to use HTML 5 Native support for Drag-Drop in an ASP.NET MVC application. 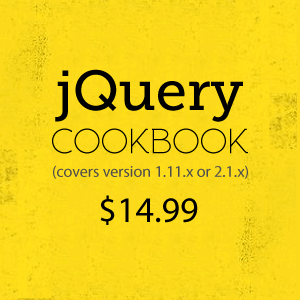 We also use Web API to pull data and jQuery to make Ajax calls. Abstract: In ASP.NET Web API 2 a feature called Attribute Routing was introduced. This article demonstrates uses of the Attribute Routing in an ASP.NET MVC and Knockout.js application. Abstract: The new ASP.NET Identity 2.0 membership system integrates some robust security features in your ASP.NET applications. This article explores some of these features. Abstract: This article demonstrates how to use AngularJS to Post Data and use AngularJS Custom Directives in an ASP.NET MVC application. Abstract: The ASP.NET MVC framework can be extended using the Custom Action Filter to play videos. This article shows how to do it in HTML5 and ASP.NET MVC .